I really enjoyed “Middelaldermad…”. 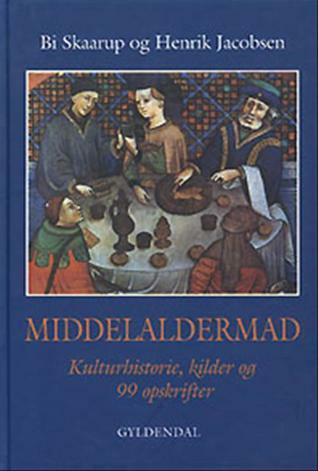 The book was helpful and full of great infomation about food and cooking in the middle ages. It is a quite readable book and a good introduction to cooking medieval food. The recipes work well, taste good and are quite easy to follow. They also include the source material, so you can track it down if you want more infomation. Middeladermad starts with a thirty introduction about medieval food and cooking. Followed by 99 recipes for medieval food with sources. The introduction has great infomation, is well researched and is very readable as well. It takes some time to disispell a few myths about medieval food and cooking. The recipes are well written and easy to follow. They all have source material from the period, mainly from three-four period sources. I have made a few of the dishes and they are easy to work with.